The temple lively celebration,is the most representative of Taiwan's traditional culture. Tiger grandfather,the least not afraid of firecrackers gods. 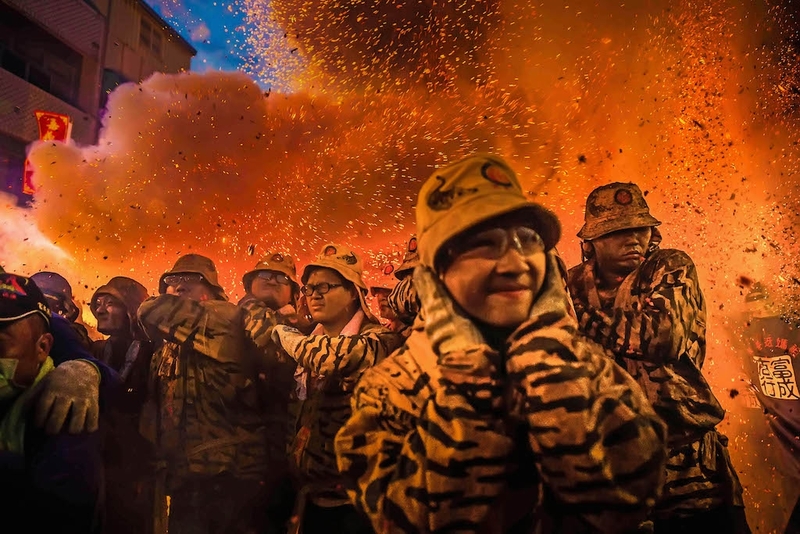 Everyone put on tiger dress clothes, not afraid of firecrackers on behalf of baptism, which is Taiwan's art, like real divinity.